Can I log time in a Cri-Cri twin-engine aircraft? I'd be able to log time in the Cri-Cri as multi-time? My guess is yes. What a positively delightful looking aircraft! I see no reason you couldn't log time in this as multi-engine time - it clearly has two engines, with two separate sets of controls (at least throttles, from what I can see). Similarly I see no reason you couldn't fly it IFR as an experimental aircraft, provided it's "properly equipped" (consult the FARs for all the details on what you need), passes an IFR pitot/static test, and has appropriate radios (Transponder which you'd likely need anyway, Com, and Nav). For that matter if you want GPS you could certainly have it without much weight penalty: throw in a Garmin GNS 430W and cover the Nav/Com and GPS in one ~7-8lb box. 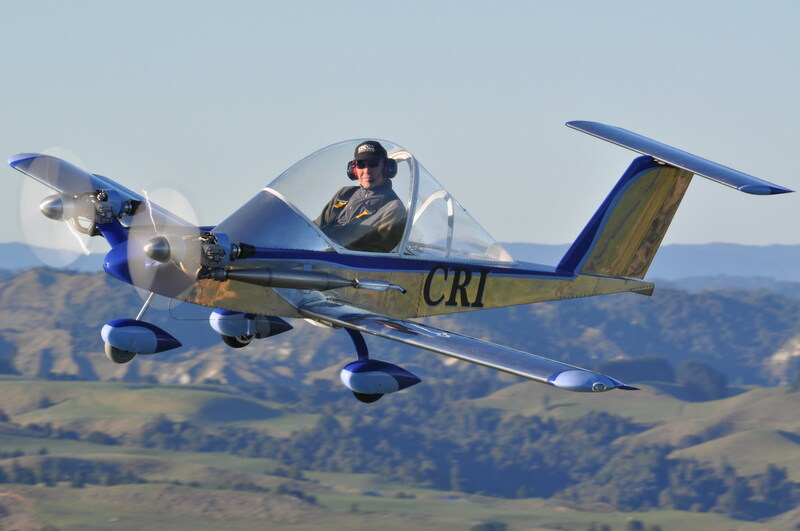 Whether or not that kind of investment in what's basically a single-seat super-ultralight is "worth it" is a judgment call only you could make, but it definitely seems possible. Yep, as long as your avionics are certified and you follow all the rules for experimental aircraft in IFR you can log it. It's questionable whether or not anyone would accept the time when you go to get a job, but they might. I would imagine that you're right about the avionics weight, although glass might actually reduce the weight. Not the answer you're looking for? Browse other questions tagged faa-regulations instrument-flight-rules multi-engine amateur-experimental or ask your own question. Can I log instrument flight time for currency purposes in an Advanced Aviation Training Device (AATD)? Is the twin vs quad engine industry preference really challenged? Why isn't there a procedure for dual-engine failure in twin-engine airplanes? Can BOTH instrument rated pilot under the hood and safety pilot log PIC time in IFR flight? Can I log multi-engine time abroad, when I'm not rated for multi in that country? Can a US PPL holder log ASES time in Canada while flying with a local FI? How does the range of a single- and twin-engine for small aircraft compare? Can I️ log this as total time? When can I log PIC time in a new category of aircraft? Under what conditions can a pilot log simulated instrument time?